On Oct. 26, Microsoft will launch Windows 8, and along with it will be a slew of new accessories designed to work with the revamped operating system. Today, the company introduced five such products, including a pair of Bluetooth-enabled keyboards and three wireless mice. All will be available soon from Microsoft’s online store and other retailers, such as Amazon, and will range in price from $49.95 to $79.95. A quick rundown of all the new peripherals is below. Microsoft is also expected to launch its biggest accessory of all on October 26, the Windows 8 RT Surface tablet. This stylish Bluetooth keyboard is designed specifically for tablet use, and features a slim design with Windows 8 Hot Keys for quick access to search, device settings and more. It comes with a protective cover that can be folded at different angles, so you can use it as a stand for your tablet. When placed over the keyboard, it will also power down the device in order to save battery life. The Wedge Mobile Keyboard will cost $79.95. Designed with the same aesthetic as the Wedge Mobile Keyboard, this $69.95 mouse is small enough to fit in your pocket and includes four-way touch-scrolling to make it easier to navigate the Windows 8 user interface. The mouse features technology that allows it to be used on almost any surface, and also has a battery-saving mode. 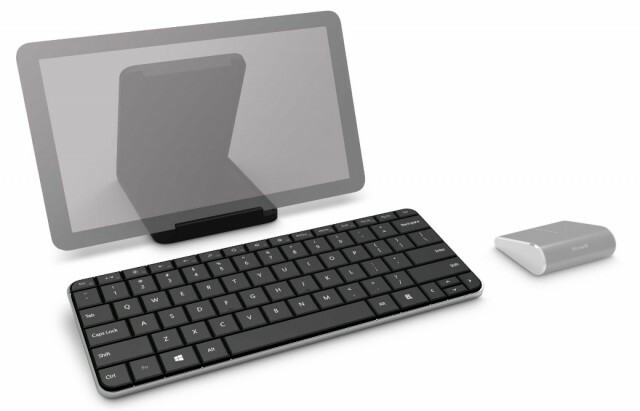 The Sculpt Mobile Keyboard costs $49.95. It’s a full-size keyboard but weighs less than one pound. It has a curved design for a more comfortable typing experience, and comes equipped with Windows 8 shortcut keys. If unused for a certain period of time, the keyboard will go into sleep mode to conserve battery life. This Bluetooth mouse is bigger than the Wedge Touch Mouse, making it better suited for use with a computer. It has an ambidextrous design, and comes with a four-way touch strip so you can scroll up and down, as well as left and right. 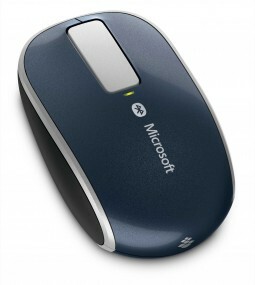 The mouse operates on two AA batteries and is priced at $49.95. Last, but not least, Microsoft will update its existing Touch Mouse with new gesture support to make it easier to navigate through Windows 8. 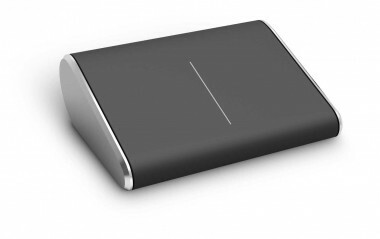 The mouse features a multitouch surface, where you can use one finger to move up and down, left and right. 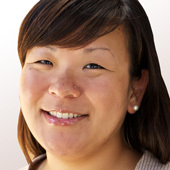 A two-finger swipe will switch through open apps, while three fingers will zoom in and out of a screen. The Microsoft Touch Mouse costs $79.95, but if you already own the accessory, an update will be available so you can add the new gesture support at no additional cost.